Concerts to Broadcast on SiriusXM’s The Highway include TD Garden in Boston, MA on February 1st, Target Center in Minneapolis, MN on February 8th, Little Caesars Arena in Detroit, MI on February 15th and US Bank Arena in Cincinnati, OH on February 22nd. Additionally, SiriusXM The Highway host Buzz Brainard will take his weekly Music Row Happy Hour show on the road, joining Eric Church fans at Cowboy Jack’s in Minneapolis on February 8th and at Tin Roof in Cincinnati on February 22nd before each night’s concert broadcast. 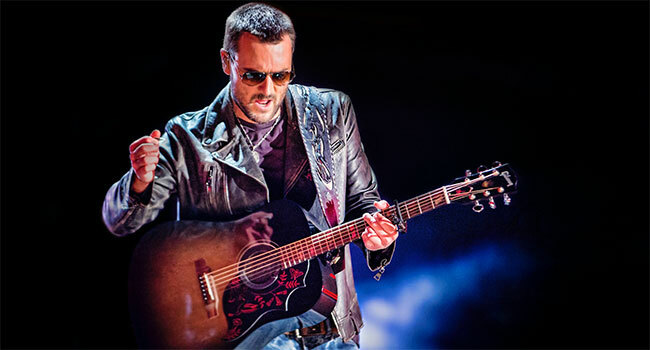 SiriusXM’s live broadcasts from Eric Church’s concerts will air every Friday in February at 8 pm local via satellite on channel 56 and through the SiriusXM app on smartphones and other connected devices, as well as online at siriusxm.com. Church is the latest megastar whose concerts will air live exclusively on SiriusXM, joining other artists such as Dave Matthews Band, Zac Brown Band, Jimmy Buffett and more. Church hosts Outsiders Radio, his exclusive SiriusXM show, monthly on SiriusXM’s The Highway. Outsiders Radio explores the country music singer/songwriter’s personal music influences and plays his current favorites. Church also plays exclusive, never-before-heard music from his own archives. SiriusXM subscribers are able to listen to The Highway (channel 56) on SiriusXM radios, and those with streaming access can listen online, on-the-go with the SiriusXM mobile app and at home on a wide variety of connected devices including smart TVs, Amazon Alexa devices, Apple TV, PlayStation, Roku, Sonos speakers and more. Church is redefining touring with his Double Down Tour as the country megastar plays 19 cities with back to back nights on Friday and Saturday, totaling 37 shows. The nine-time CMA and ACM Award winner will perform six albums worth of material across two very different nights of music as well as a stadium-sized tour stop in Nashville, Tennessee, more than doubling the capacity where he previously set Bridgestone Arena’s attendance record upon the finale stop of his Holdin’ My Own Tour in 2017.